Gov. Chris Christie (R-NJ) has been criticized for appointing Sohail Mohammed, an American Muslim, to a New Jersey superior court. Yesterday he defended Mohammed, using words like ignorant, crap, baloney, and crazy to describe Mohammed’s critics. His statement was strong and inspiring for its passion and plain English. Defending Muslims as patriotic Americans, and ridiculing the notion that Sharia law is a threat to America, is sadly rare in today’s Republican Party. Christie is an up-and-coming Republican politician, and his spirited defense of an American Muslim appointee will cost him many friends on the Republican right. America badly needs leaders who will stand up—like Christie—to the extremists in their parties. 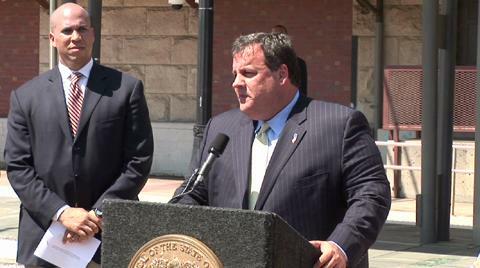 Thanks to Jack Marshall and his Ethics Alarms blog for anointing Christie an ethics hero. Why not, Mr. Speaker? You’re complicit in the lies if you don’t challenge them. 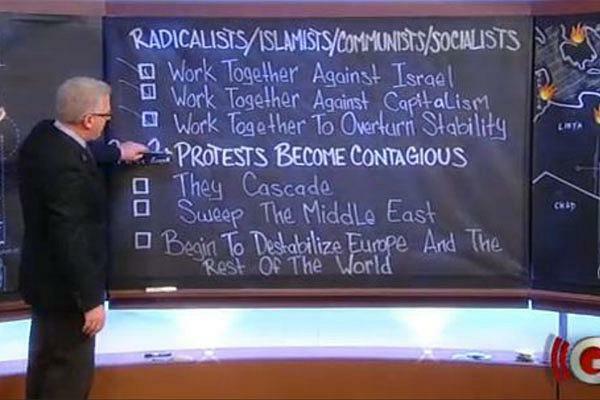 And Glenn Beck says that a giant conspiracy comprising Obama, the Egyptian demonstrators, the Muslim Brotherhood, the communists, and the AFL-CIO is dedicated to creating a new caliphate that will govern all of Europe and the Middle East under Sharia law. And Americans, he beseeches, wake up before it’s too late. We haven’t seen the polls or focus groups yet, but you can bet that a third of Republicans will swallow it, hook, line, and sinker. Congressman Bob Etheridge (D-NC) was walking down a Washington sidewalk when a short (half-a-head shorter than the Congressman) young man in a suit approached him with a camera—perhaps in a cell phone—and asked him if he supported the Obama agenda. “WHO ARE YOU?” the Congressman demanded, before he lunged at the camera, grabbed the young man’s arm, and then his neck, before letting go. My favorite ethics blogger, Jack Marshall, labeled Etheridge an “ethics dunce” in his EthicsAlarms.com. Shamefully, some in the liberal media, including MSNBC’s Chris Mathews the Washington Post’s Chris Cilizza, and the Charlotte Observer, defended Etheridge. Worse, Politico reports that the DNC is blaming the Republican party. Michael Smerconish is the Philadelphia area’s top talk-show host, and a frequent guest host for Bill O’Reilly on his nationally syndicated Radio Factor. Smerconish has been a Republican all his adult life, including a stint as assistant secretary of HUD under Bush I. He describes why he decided to leave the party on the Huffington Post. Recommended reading for Republicans, Democrats, and independents alike.